Cut your gas costs and carbon footprint by adding our Electronic Ignition System to your manual gas light! 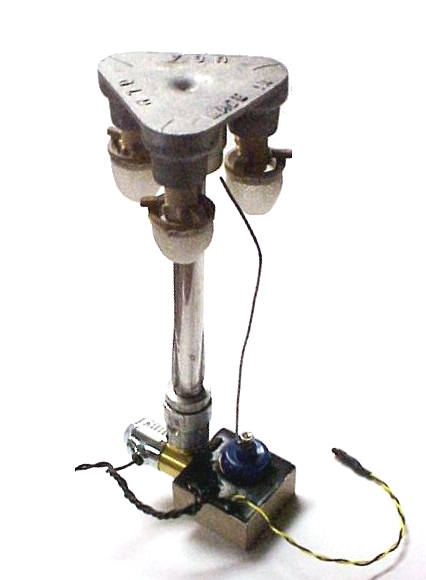 Choice of a 2 or 3-Mantle Igniter/Burner set-up. The KnightLighter™ is more flexible than other gas light igniter systems. Using the KnightLighter™ Automatic Gaslight Igniter, along with our proprietary mantle burner modification, makes your 2 or 3-Mantle gas light automatic. The KnightLighterTM gas lamp igniter cuts gas costs and carbon dioxide emissions by 50% by keeping the lamp off during daylight hours. Savings can amount to $165 to $250 or more per year, depending on the price of natural gas. Greenhouse gas emissions can be reduced by almost 2000 pounds per year for a typical 3-pointed open flame burner, just by keeping the gas lamp off during the day. The 24VAC gas lamp igniter can save even more, as it can be used with a wall switch, timer, remote control, or home control system, to conveniently turn the lamp on for just a few hours per night or as desired. Allows for manual control with a switch or automatic control using the Daylight Photo-sensor. Operates on 24VAC, 100mA; requires 24V AC transformer, sold separately. Transformer may be ordered below. 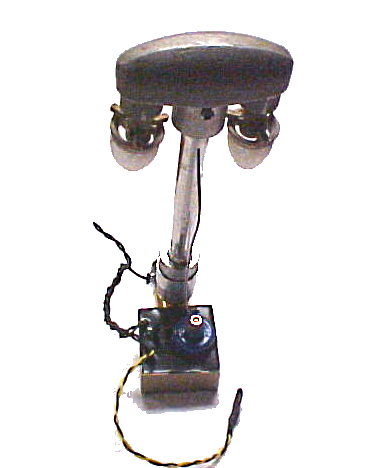 Burner: 2-Mantle with Direct Wire Probe. Also available with a 3-Mantle Commercial Burner for an additional cost. NOTE: Standard Mantle Burners will not work with our igniter, you must use our modified mantle burner.